Passive solar water heaters work without the need for pumps. This is an advantage because pumps are moving parts which consume electricity, cost money to operate, and like any moving part they eventually fail. 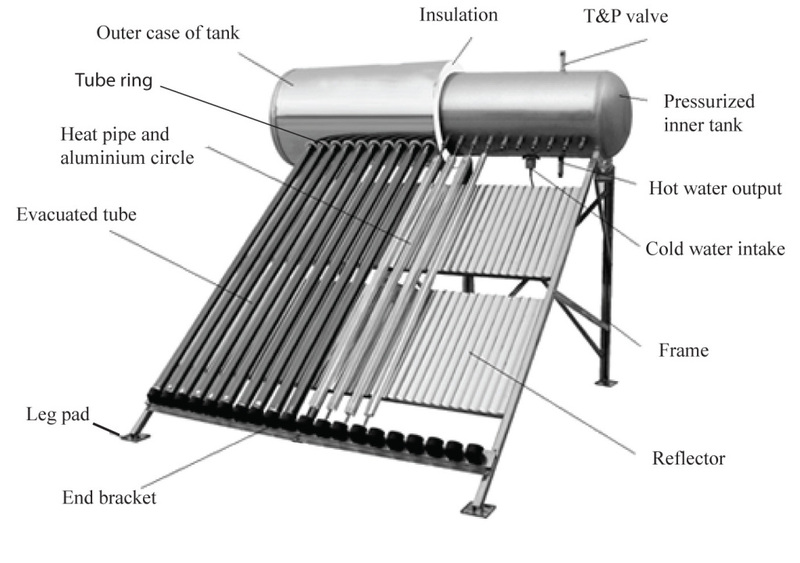 Passive solar water heaters are designed with that in mind and eliminate this part which fails in many solar water heaters causing them not to work, oftentimes without their owners even knowing about it. 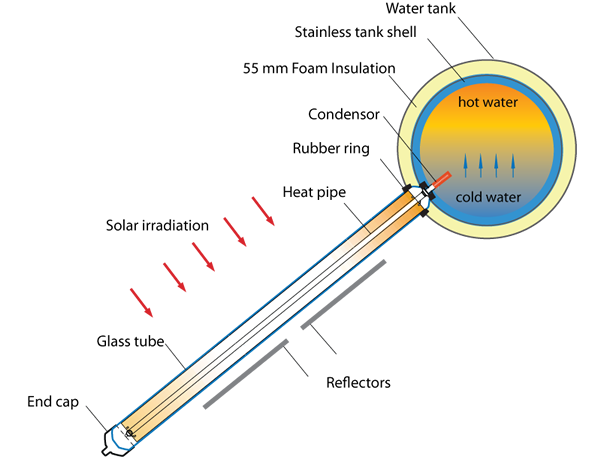 In active solar water heaters which use pumps they are constantly circulating a heat transfer fluid while the solar system is producing heat. 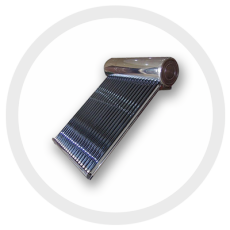 This transfer of heat through pipes causes losses which decrease the overall efficiency of the system. Passive solar water heaters on the other hand keep their collectors and storage together which decreases losses and only moves the hot water through the pipes when you are consuming it. The Sunbank is a pressurized system, which means that just like your existing electric or gas water heater, it relies on municipal or well pressure to move water into and out of the tank. When you turn on your hot water faucet, cold water is pushed into the hot water tank, which in turn pushes the hot water to your faucet. All this adds up to an incredibly efficient solar water heater that is virtually maintenance free.